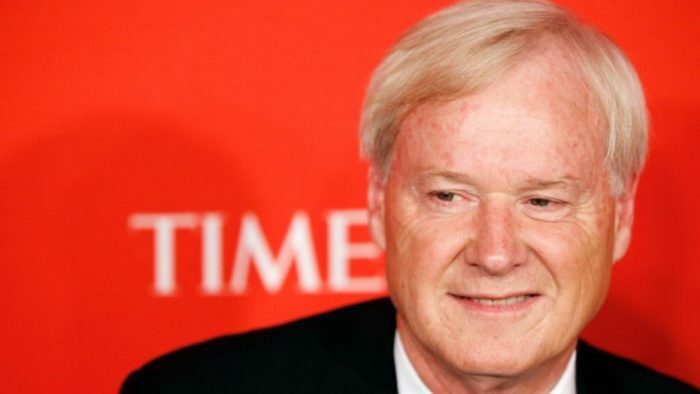 Oh boy, it looks like the purge of men in powerful positions isn’t going to end any time soon with MSNBC host Chris Matthews coming under fire for his mistreatment of females staffers and guests. A Daily Caller report indicated that 5 women are making various claims of inappropriate and/or abusive behavior against Matthews. I have never cared for Matthews… he’s a progressive and not all there, but I almost feel sorry for the guy. Two of the accusers were producers who had worked with Matthews in the past and the three others had been guests on his show, “Hardball.” Geez… that doesn’t leave a whole lot of doubt that he acted inappropriately. At least on the surface of things. According to the women, he repeatedly made inappropriate comments about them and behaved as a “tyrant,” quick to berate a female for doing anything that he thought was “wrong” or “incorrect.” Now, to be fair to Matthews, he could just be a jerk and treat everyone like that. Why is being female special here? I thought this had to do with sexual harassment? It sounds more like he was just an arrogant jackass. There are plenty of those out there. He also allegedly routinely objectified female guests by making crude comments about their bodies and clothing. That’s pretty much exactly what you’d expect from someone like Matthews. And that isn’t okay by any means. I understand he has been warned previously on that kind of behavior. “He would eye down a woman who walked on set or comment on their features or what they were wearing,” said one woman. That kind of sounds subjective, but who knows. “He would objectify them and interrupt them in a way that he would never do to his male guests,” she continued. “He has a very outdated view of women.” Okay… that’s sounds off to me. Like she has a personal dislike of the man and therefore he must be a woman-hater. The other producer referred to his behavior as that of a “teenage boy” and accused him of ranking his female guests based on their appearance and making one “hottest of the week.” Crass, but not way out of bounds. He’s a guy after all. But this wasn’t behavior that was saved for guests. She claims that the women who worked for him received the same treatment, noting that she herself had been on the subject of a lot of his crude jokes and comments. But still, does it rise to the level of lynching the guy? Two sources also claim that an assistant producer complained of sexual harassment and was paid $40,000 as compensation by Matthews. She was also given a generous bonus as part of her severance package. And I’m unclear on that one as well. The complaint was again more about his juvenile behavior than sexual harassment. Other sources commented on how abusive he was toward his female staff, with many of them referring to them as “battered women.” None of the women involved wished to be identified and I’m sure you can imagine why. But this sounds over the top to me. And I’m a woman… I just don’t think you should ruin someone’s life unless he really deserves it. “Sadly, I know other women who won’t even be an anonymous source regarding Chris because they’re concerned about the door closing on career opportunities in media,” said one of the producers. On that count, I’m sure that is very true. Both confirmed that Matthews would regularly burst into vulgar tirades at even the slightest provocation. I also don’t doubt that he does this. Once again, he just seems like the type. But if you fired everyone who did that, there would be a lot of people looking for work. I think that Matthews, like any other person, should be given the benefit of the doubt. It’s innocent until proven guilty, not the other way around. And I don’t care what your politics are. That’s how we do things in this country, or it used to be anyway. What do you think? Should Matthews be fired as a result of this report? Or should he be allowed to say on television until these claims are proven? Let us know what you think in the comments!